It is often a misconception that dust and microscopic debris are the only cleaning problems during the summer. But did you know that molds, which are known to be found on damp areas, still thrive even on warmer summer months? These are the types that grow in places where the sun doesn’t shine, like the bathroom, for instance. Even areas like Park Slopes in Brooklyn are not safe from disease-causing fungi growing inside the bathrooms. Good thing professional cleaning services like Diamond Maids has Park Slopes Maids ready to make your bathroom pristine. Molds grow rapidly on tiles and grouting. Molds on tiles are slippery and could cause bathroom accidents. Dark stains on the grouting makes the bathroom floor and walls ugly. Wiping the molds using acid solution can only do half the job. Thorough scrubbing removes the molds from the roots. Tiles and grouting are not the only places where molds grow. Any damp surfaces can propagate fungi. Toilet seats and sinks are not exempted. Small pools of water drops accumulate microbes which will later become molds. Park Slopes Maids know how to make your toilets and sinks squeaky clean. Imagine bathing on a mold-infested bathtub. How about running a shower with molds sticking out of the nozzle. If you feel uncomfortable, then that’s precisely what dirty bathroom feels like. Professional Park Slopes Maids specialize in removing grime in bathtubs and showers. Smooth surfaces such as mirrors, shower doors, and glass tables are prone to mineral build up. Moisture on glass surfaces leaves behind white residue after it dries. These hard water spots look dirty and unpleasant. The residue is hard to scrub off without the proper equipment and solution. Clogged drain is one of the causes why water becomes stagnant on bathroom floors. This allows molds to propagate at alarming rate and makes the floor slippery. Professional Park Slopes Maids are trained to deal with this type of task. One of the most important cleaning tasks in your bathroom is the removal of trash. Uncollected trash, especially hygienic waste, is the ideal home of harmful bacteria that could cause infection and contamination with the rest of the bathroom. Taking out the trash is a basic task for Park Slopes Maids. Your bathroom experiences a lot of uses throughout its lifetime. It is imperative to sanitize your bathroom to safeguard the health of you and the members of your household. 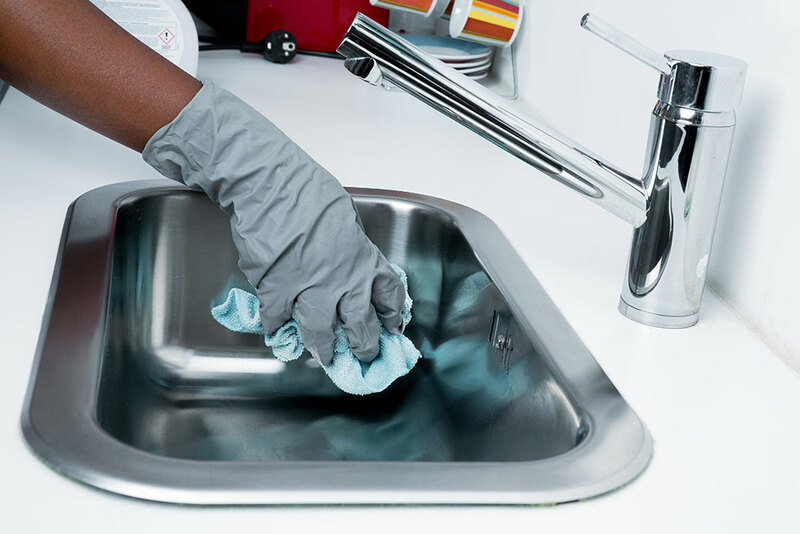 Diamond Maids provides the perfect Park Slopes Maids service for a spotless clean bathroom.